It was a typical afternoon when a family of three sat down in a local restaurant for a meal. On this particular occasion, there happened to be a set of onlookers that witnessed something that they didn’t agree with at all. When it comes to children, equality, and fairness, food is a definite necessity that should be distributed evenly towards all. 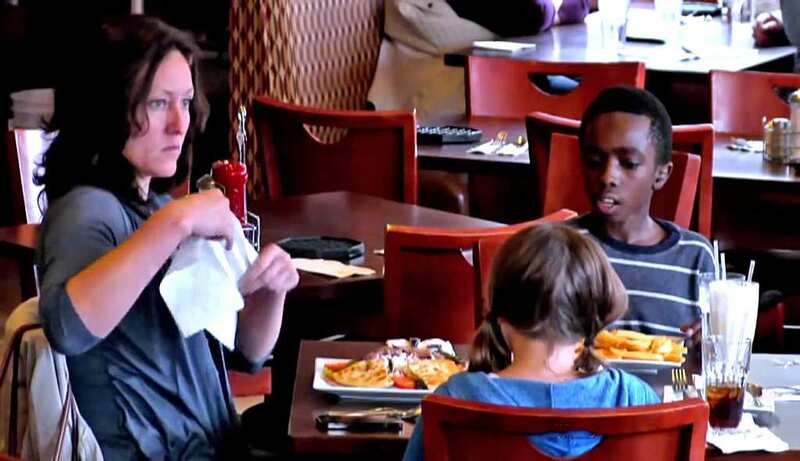 This mother, however, shocked the patrons in the restaurant after ordering her meal and another for just one other child. There was something different about this dining family, though. The young boy sitting at the table was an African-American and the mother, as well as the little girl, were both caucasian. Normally, this dynamic and racial difference wouldn’t strike a cord with anyone. In fact, it’s a beautiful sentiment of coexistance. 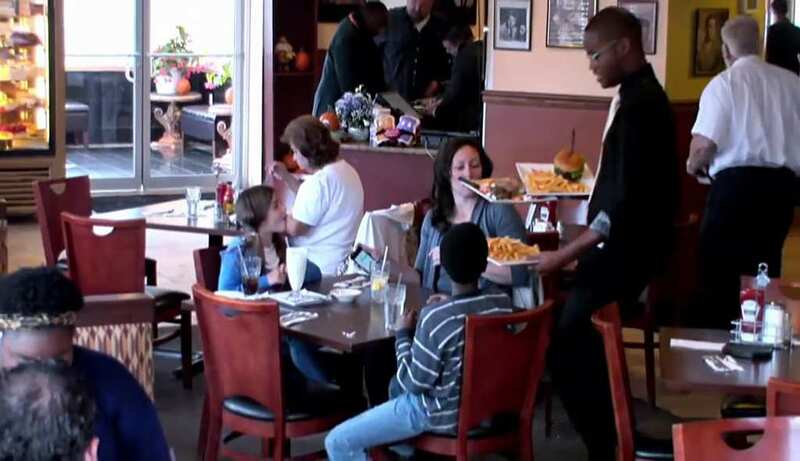 However, this mother lightly implied that her young foster son was not a part of their small family unit for obvious reasons that were blatant to other restaurant patrons. The young, African-American child had initially appeared to be in good spirits as he sat with his mother and sister. He appeared to be a foster child, the only other safe assumption being that he could have been adopted, as well. From an outside perspective, a single mother would typically be applauded for this gesture of love and kindness. At first glance, this family didn’t appear to be anything other than normal and content. People sitting near and around the family couldn’t help but listen to their conversation. There were remarks and snippets of their discussion that began to feel disheartening and as the talking continued, the tone of the conversation was strikingly negative. 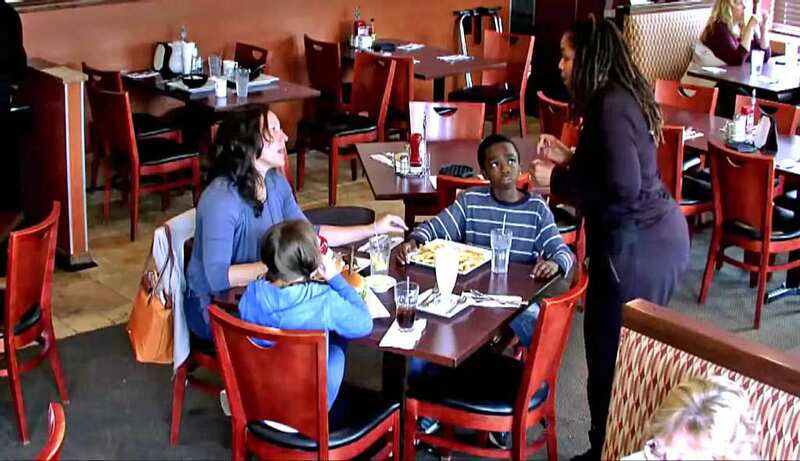 Finally, the nearby restaurant patrons heard a crystal clear difference in the way this mother was addressing her children; both separately and at the same time. 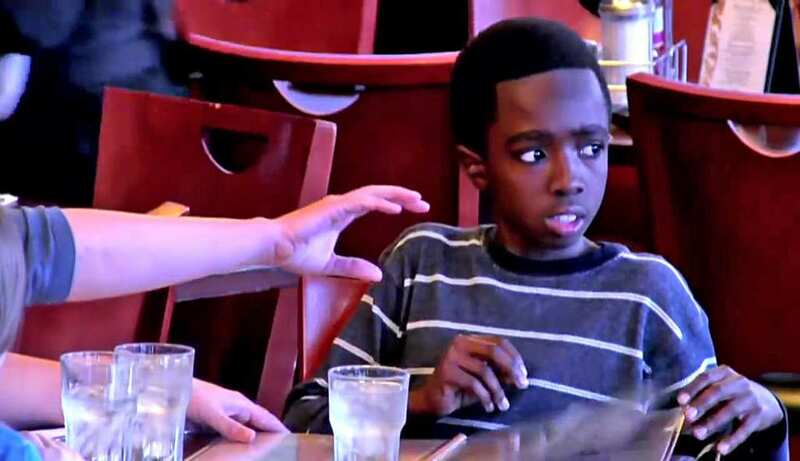 A waiter soon approached the table for the second time during the family’s meal. 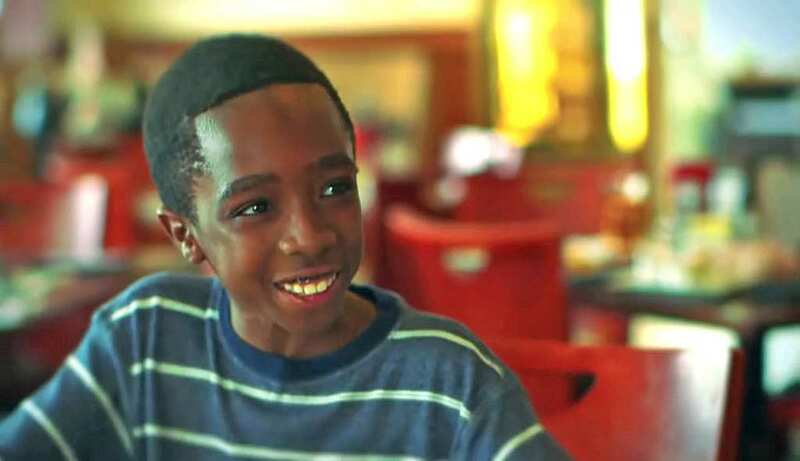 The young boy had exclaimed, “Thank you so much for bringing me here!” Then, he attempted to ask the waiter for a special beverage but was silenced by his foster mother. Instead, the young girl at the table was allowed to order a vanilla milkshake, in addition to her soda, while the boy was not allowed to order the same thing. A woman at the next table is watching the mother and her two children carefully. From her perspective, things couldn’t get worse. Little did she know, that the vanilla milkshake was far from the last straw. The obvious favoritism between the girl and the boy was disturbing, to say the least. The manner in which she thought this type of treatment was normal, was even more concerning. The young girl begins to drum her fingers on the table. Was she doing it out of boredom? Impatience? Maybe she was just excited for her food? Who knows. Although, once the boy began imitating his sister and drumming his fingers on the table as well, the mother told him instantly to stop. The little girl, however, was allowed to continue drumming on the table and make noise. The food finally arrives at the table and difference between meals is startling. The mother and the daughter both receive large plates of french fries and a hamburger each. The young boy is only brought a plate of french fries. Noticing his missing portion, he asks why he can’t have a hamburger, too. The mother’s answer to this question is not only cruel but unjustified. The mother answers the boy and tells him that she only receives a certain amount of money a month to spend on him and that he should be “more appreciative” of what he gets. She also tells him that if she “sends him back” he isn’t likely to be adopted by anyone else. This reason, and this reason alone, is enough to upset anyone within hearing distance of the mistreatment occurring at this table. At this point, a woman at another table is ready to take action. It was the same women who had overheard the family’s conversation prior, followed by the milkshake incident. Refusing to sit there and allow this young boy to be subjected to his foster mother’s lack of care and concern, she steps in and tries to make things right for the foster boy who deserves just as much as the little girl does. 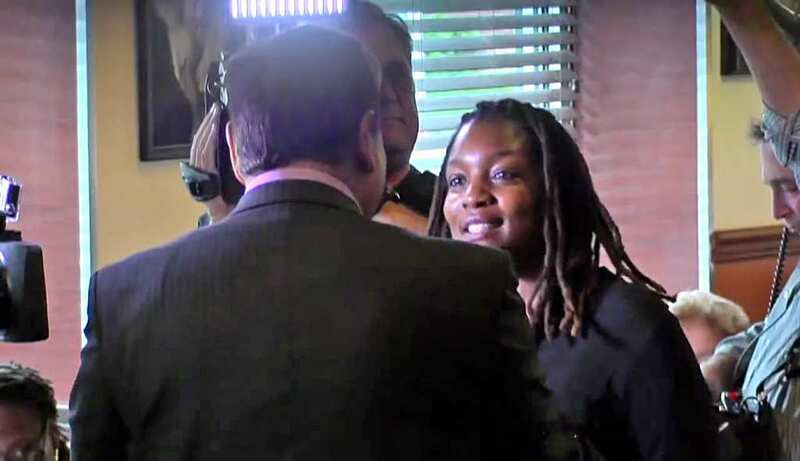 As the enraged woman looks to her side, she notices a camera crew coming towards her! 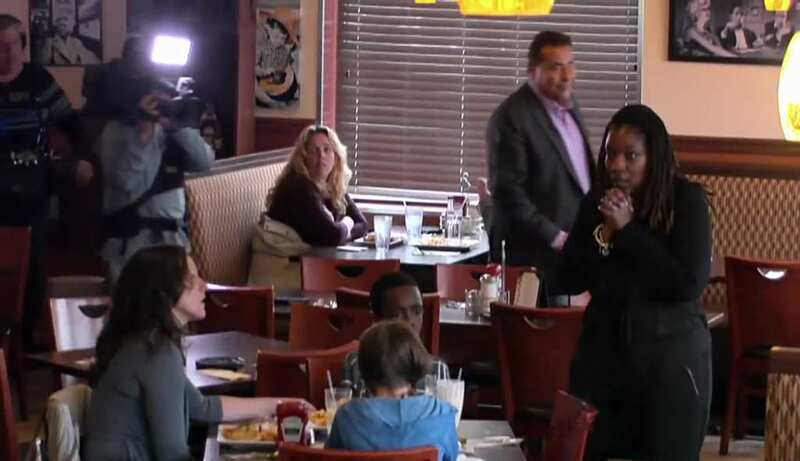 The entire scene was a set-up as part of a reality show called ‘What Would You Do?’ The young boy, the daughter, and the mother were testing the restaurant patrons and anticipating a reaction from the onlookers who were initially disgusted by their behavior. The mother, the son, and the daughter were all actors taking part in a set-up for the reality tv show. The restaurant patrons were all relieved to see that there was no actual abuse occurring between the family at the table and as for the woman who spoke up, she was especially taken back! Later that day, the show’s producers uploaded a video to YouTube showing the world what happened that day. There was more than one onlooker who decided to take action that day. Earlier, another female patron overheard the mother telling the boy he had a spending limit of $4. Following this remark, that female patron leaned over towards the table and offered to pay for the boy’s meal on her tab, saying he could pick anything on the menu he wanted! In that moment, the woman said to the young boy, “I want to write your name down for me, OK? And your phone number.” Then, she scrambled in her purse for a pen and a piece of paper. One can only assume that this onlooker was attempting to save the boy from a family that was mistreating him in comparison to his sister. 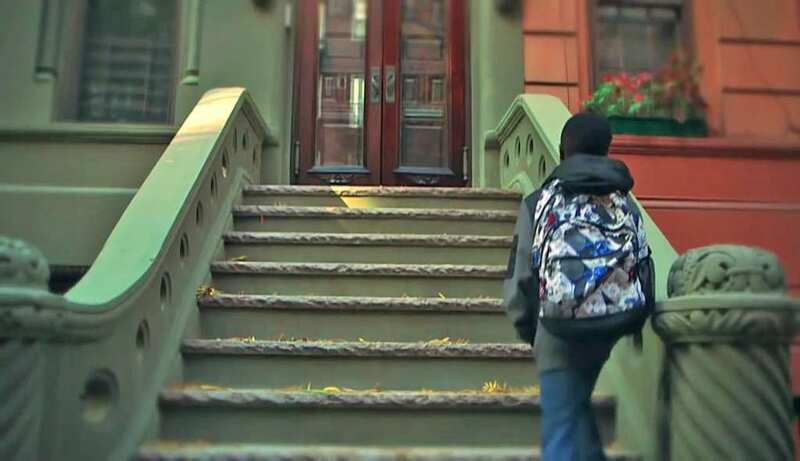 Before the woman could write down the boy’s name and phone number, the same tv crew reappeared and told her that the entire situation was a set-up made for reality tv. She began crying and in some way, felt relieved that whole ordeal was manufactured. 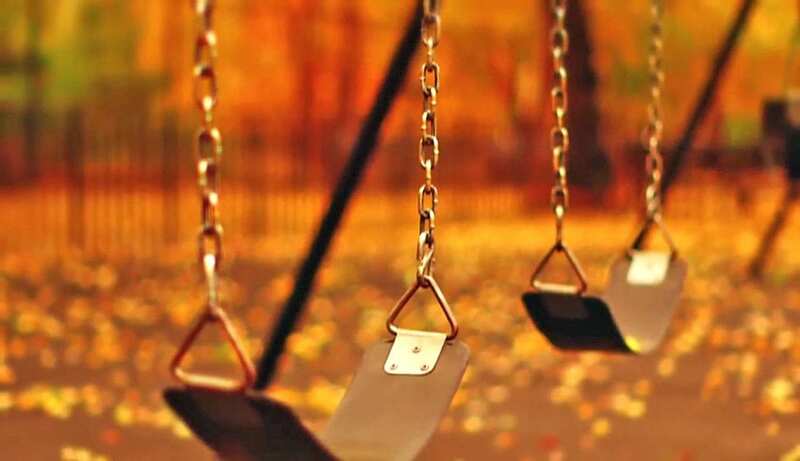 When the crew asked what she planned to do with the name and phone number of the young boy, she replied that she intended on reporting the foster mother. Today, the foster care system remains a flawed one. Unfortunately, there are still foster parents who take advantage of the system and in return, they children they take into their homes suffer when they don’t have to. This publicity stunt was more than just PR for a local television show; it was an attempt to raise awareness about an ongoing issue in their community and how imperative it is to work together and make things right.